Hi! I had enough food posts until now, more posts to come yet still related to great food in the island; toss the food aside and let's talk about something different for a moment. I'm a big fans of Starbucks, or no? Get influenced by someone else, two years ago; I think I'm now addicted more than he does now. Laugh. 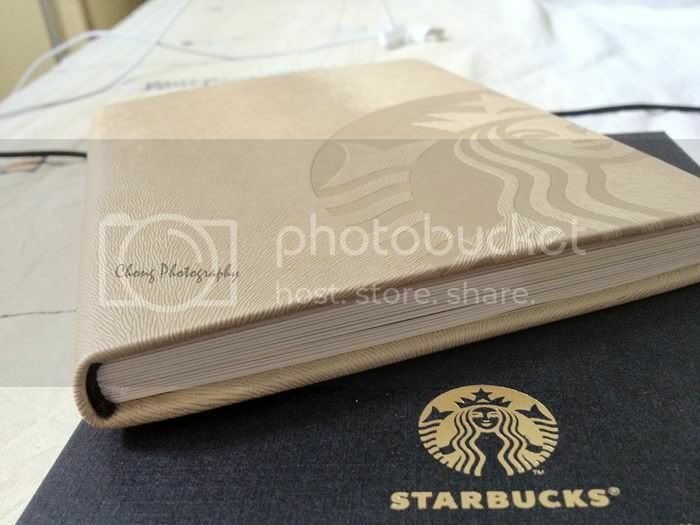 Whenever I want to have chit-chat or gathering, Starbucks would be my choice now. Oh gosh! 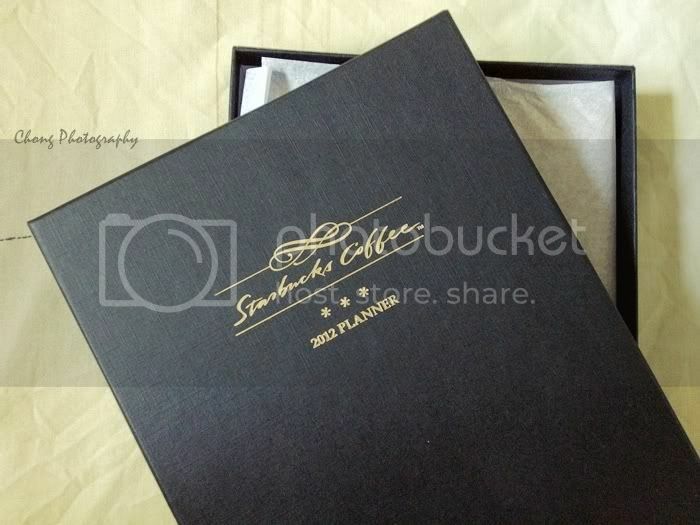 Starbucks planner is in the house. In love with the box more where the gold words imprint on the black box. I guess I will only keep this planner for myself, too pretty for me to write on it. My handwriting will only spoil it, or make it prettier? It's not just "a bit" too over, it's indeed too over... hahaha. Life is too short, so drink more starbucks!